Earlier this month I started my journey on building a Gaming PC for my YouTube channel and I released the first part where I picked the parts for the build, one of those parts is the MSI B450M Mortar Motherboard that we are going to take a look at today. I've decided to get this because it fits perfectly on my budget of around 6,000 Pesos or around 100$ just for the motherboard. It also has a nice aesthetics with neutral colors and good overall design, especially with the VRM heatsink. And lastly, I picked this because of its decent specifications, features, and performance. I ultimately decided to go with this after watching the video made by buildzoid where he tore this apart and discuss everything about its VRMs and decent heatsink. In terms of design and construction, It's quite decent, as I've mentioned it has a neutral color scheme with a military theme, hence the name mortar. The overall built quality seems to be pretty decent as well and as I've also mentioned, the heatsink for the VRM is very solid with actual fins to help spread the heat. It doesn't have any fancy design like other manufacturer does but at least it looks like it can get the job done. 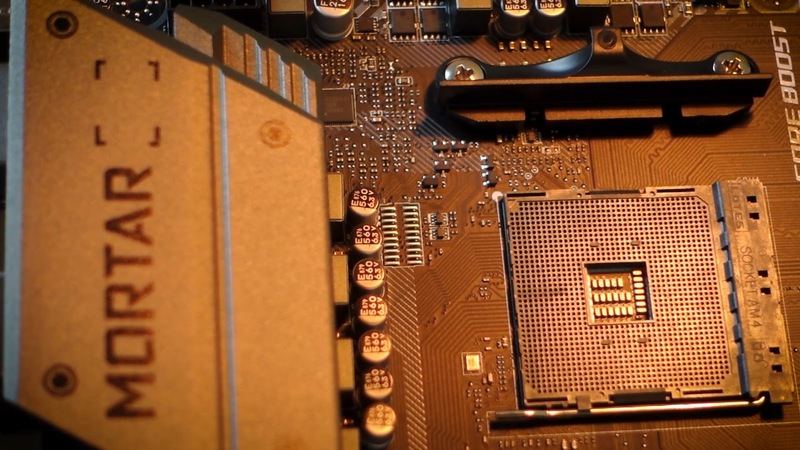 The top PCI-E slot is reinforced with metal which is very well appreciated, it doesn't have M.2 heatsink though. 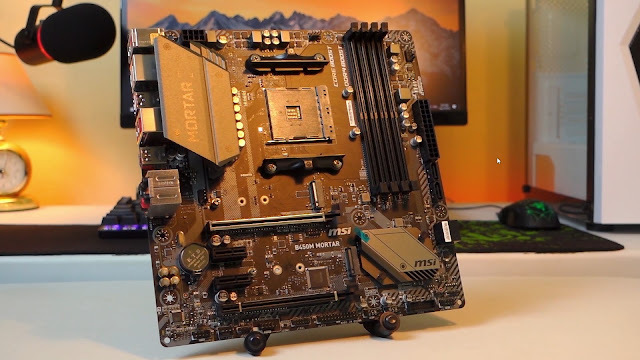 The MSI B450M Mortar supports 1st and 2nd generation Ryzen processors including the Raven Ridge APUs like the Ryzen 5 2400G and the Ryzen 3 2200g, the board will be supported up to 2020 which is nice and the built-in Bios Flashback feature will be handy when its time to upgrade the bios to support new processors in the future. I'll discuss my overclocking experience later but I've managed to overclock my Ryzen 5 2600x up to 4.0Ghz 1.312V using the stock cooler. 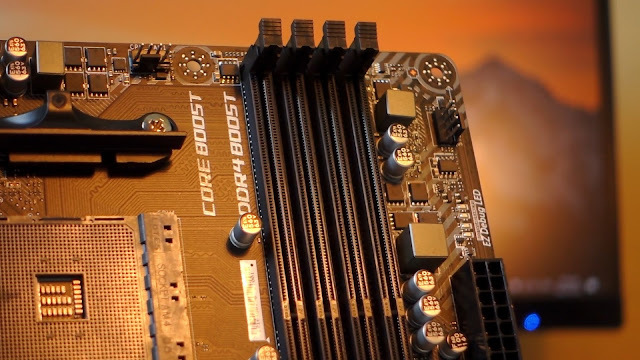 The MSI B450M Mortar supports DDR4 Memory up to 2667Mhz by JEDEC and up to 3200Mhz by A-XMP profile overclocking mode. The kit that I have which is the only kit that made it into my budget is not optimized for Ryzen so I was only able to reach 2733Mhz at 1.35V with 16 14 14 14 34 timings, more than that and it fails on the Aida64 stress test. I'm still going to try to mess with the timings, voltage and other settings to get at least 2800Mhz or 2933Mhz on this. In terms of storage, the MSI B450M Mortar has 2 M.2 Slots one of which runs at PCI-E 3.0 X4, so basically, you can use an NVME Drive with this. It supports 2242/ 2260 /2280 M.2 form factors. 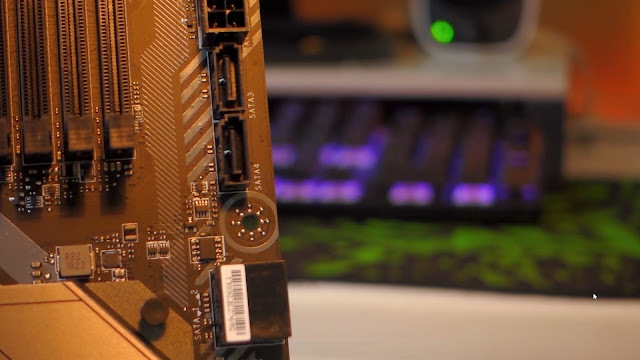 It also has 4 SATA 3 ports 2 of which are angled. With regards to ports, the MSI B450M Mortar has a decent amount located at the back. Besides the Bios flashback button we have 2 2.0 USB ports, PS/2 combo port, HDMI and Display port for APU, 4 USB 3.1 Gen 1 Type ports, Realtek 8111H Gigabit Ethernet, 1 USB 3.1 Gen 2 Type A and 1 USB 3.1 Gen 2 Type C, and the audio ports that uses Realtek ALC892. For other connectors, we have the main 24pin 12V and 8pin 12V power connectors. 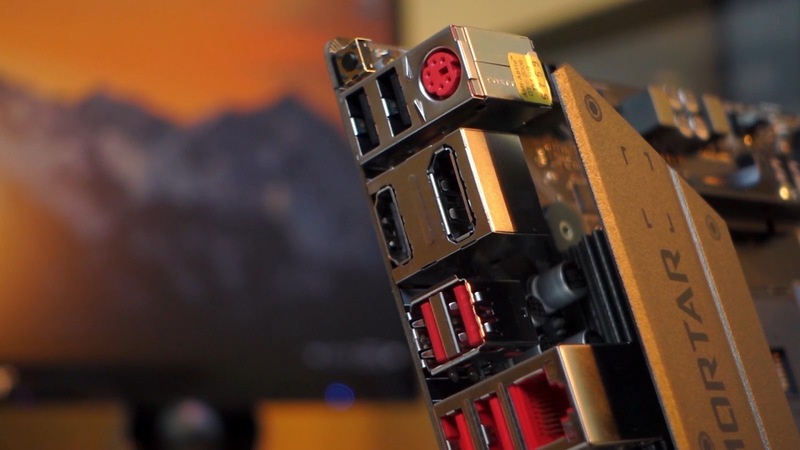 When it comes to the headers we have 2 USB 2.0 headers, 1 USB 3.1 header, 1 4pin CPU Fan header, 3 4pin System Fan header and 2 12V RGB headers. 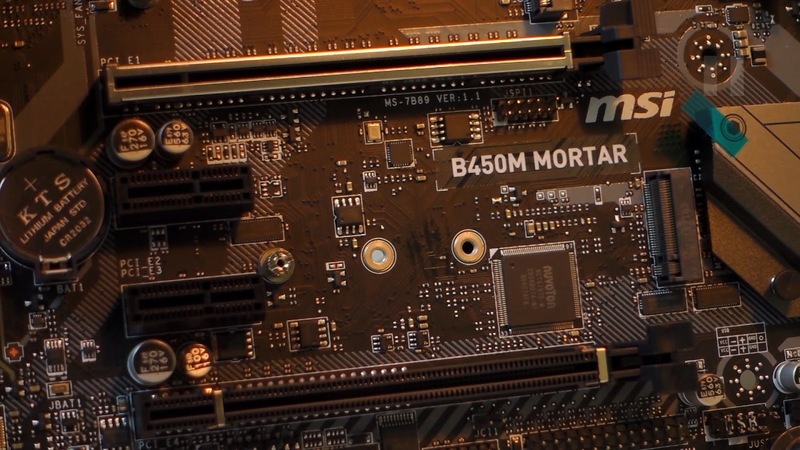 The MSI B450M Mortar has 4 PCI-E lanes, 1 3.0 x 16, 1 2.0 x16 and 2 2.0 x1. 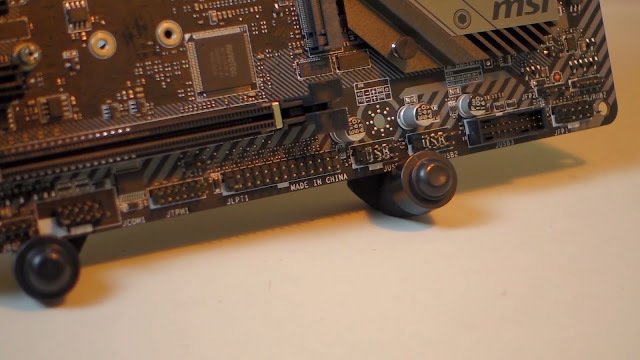 It supports 2-way Crossfire but I can't find any details if it supports NVIDIA's SLI Technology. 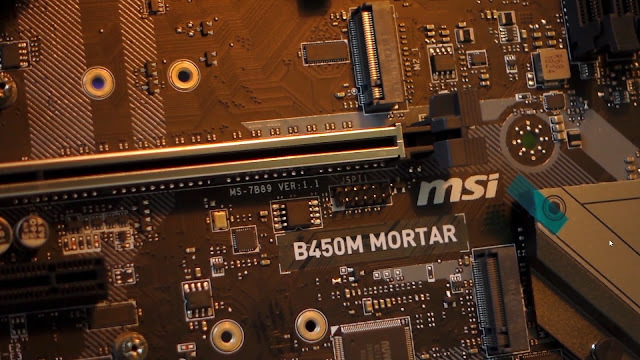 The MSI B450M Mortar measures at 9.6 inches x 9.6 inches Micro ATX form factor. Disclaimer: Just a quick disclaimer before we start discussing my overclocking experience. 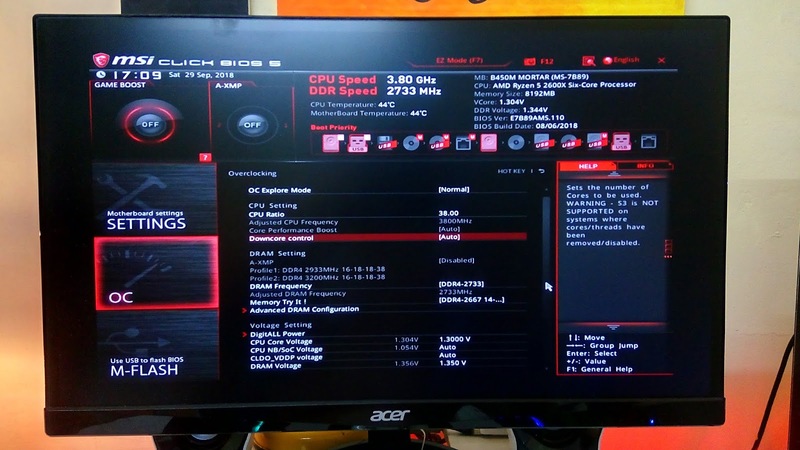 I am not an expert when it comes to overclocking by any means and the airflow on my case is currently terrible, what I'm going to share with you, however, is my experience overclocking with the MSI B450M Motherboard and what I have achieved so far. For my testing, I used HW Monitor to monitor my temps while running Cinebench 15. Once I was able to finish Cinebench without any issues, I then ran Aida64 to push the system to full load and monitor stability. The first thing I did is leave everything at stock settings. Unfortunately, I wasn't able to take a screenshot of the HW Monitor temps on my first benchmark. I did, however, on stock CPU settings but with memory overclocking. I'll show it to you later. So on stock settings, I've got 1351 score on Cinebench 15. Then because of my eagerness to try and overclock the memory, I tried different settings to overclock the memory but ultimately decided to stick with 2733Mhz at 1.35V with 16 14 14 14 34 timings as it's the most stable overclocking with the kit that I got. As I've mentioned, I'm still going to try and push it even further in the future. 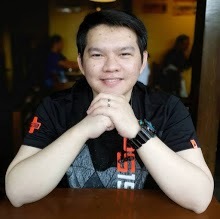 With this, I've got a score of 1269 in Cinebench 15. A little lower than stock settings, this is because I've limited the processor not to boost to 4.2 using the default XFR. The temperature rose up to 73 degrees at max with these settings. The score went a little bit higher as expected at 1315 in Cinebench 15 but consequently, the temperature also rose up to 77 degrees at max. We've got a 1351 score on Cinebench which is pretty identical with the stock settings and the temperature rose to 77 degrees at max. Now at this point, it seems that going with either stock settings letting the XFR do its thing or manual overclocking to 4.0Ghz is the way to go right? Nope, when doing stress test for these overclocking settings, the default settings with XFR enabled pushed the system to a whopping 90+ degrees temperatures, the same with 3.9Ghz and 4.0Ghz where the temps go beyond 85-90+ degrees which is not very ideal. Mind you, the airflow on my system is pretty terrible and that I am just using a stock cooler. With that being said, I settled for 3.8Ghz manual overclocking. During load, the temperature goes up to 80+ degrees which I can take for now until I get a proper set of case fans and a better CPU cooler. Overclocking inside the MSI B450M Mortar bios is actually a very nice experience, with a little bit of research I was able to easily tweak the settings in no time. The bios settings at least for my personal opinion is very intuitive and easy to navigate with and I didn't encounter any issues whatsoever. If there's one thing I want to change with it is the ability to set a custom name while saving the overclocking profiles. The Hardware monitor wherein you can set your own fan curves is pretty straightforward as well and I was able to verify my settings in HW Monitor and Aida64. 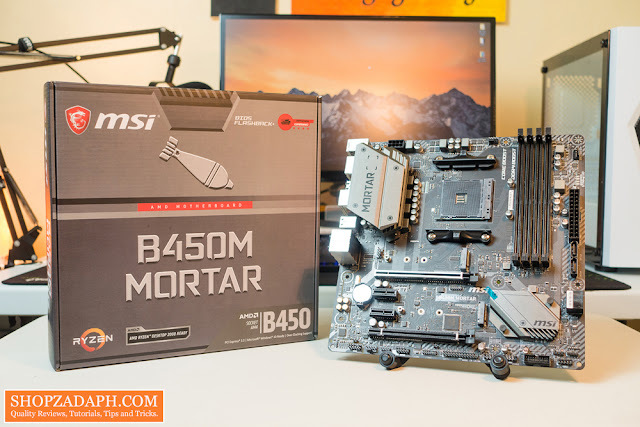 There are a lot of options out there when it comes to budget B450 motherboards but I personally think that the MSI B450M Mortar is really worth considering. Yes, they've been known to produce poor quality motherboards with their old B350 series, but they've since up the quality with their B450 series motherboards. There are a lot of extensive reviews out there that validates this claim that the MSI B450 motherboards are a lot better, in fact, the Mortar's bigger brother, the Tomahawk has been recommended by Hardware Unboxed as one of the best B450 motherboards out there and the Mortar is basically the same at least in my opinion. If you have more time to spare and you're really looking into the B450 chipset, I suggest you checkout buildzoid's comprehensive teardown and review of this motherboard as well as other available reviews online. 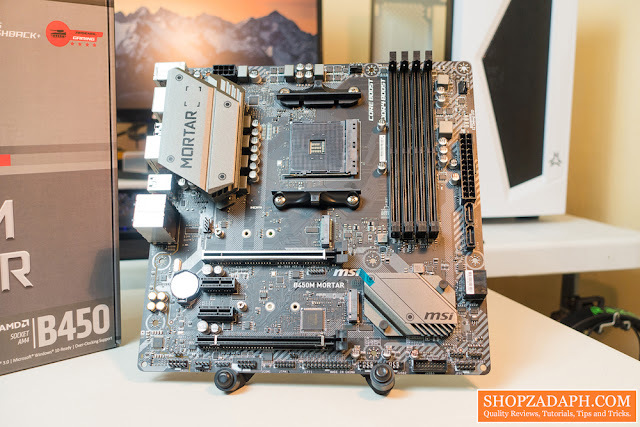 If you're interested, please watch my unboxing video and quick rundown of this motherboard below which is also available on my YouTube channel.